In 1933, while most Greenwich Village residents were struggling to pay their rent and feed their families, Lew Ney (Luther Widen, 1886-1963) divided his time between fund raising and typesetting fine press poetry. 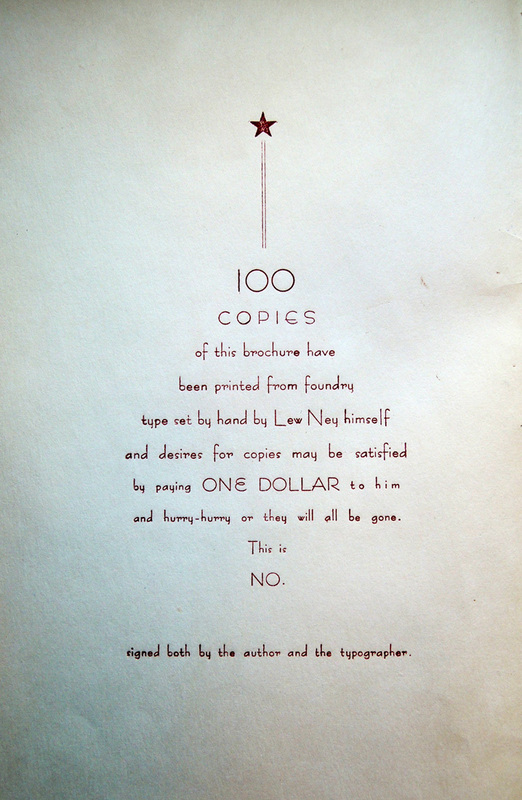 The sale of his latest newssheet, The Sunday Bruncheon: Another wee magazine done by Lew Ney (1932-1933) funded his Sunday Breakfast Club, where free meals were offered throughout the day to the neighborhood writers and artists. 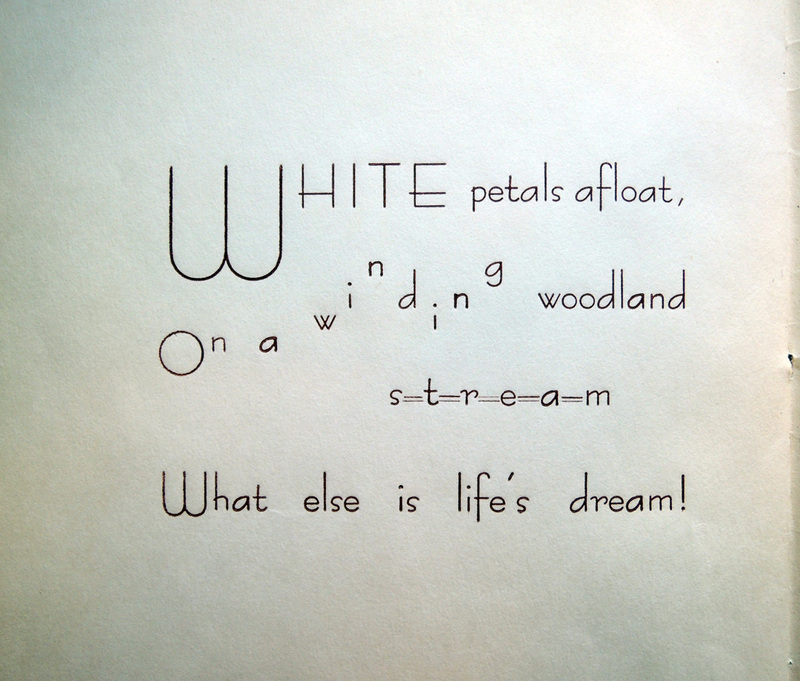 Around once a month, Lew Ney designed, printed, and published a letterpress edition commissioned by a local poet, under the imprint Parnassus Press. 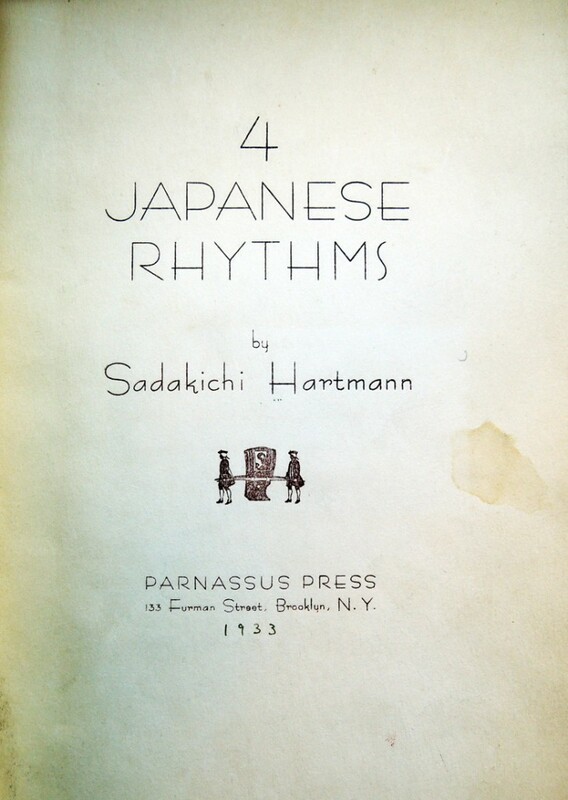 One of the most lyrical and visually appealing was 4 Japanese Rhythms by Sadakichi Hartmann (1867-1944), typeset in a coldwater studio on Furman Street, along the Brooklyn waterfront. The edition of 100 copies was advertised at the inexpensive cost of $1, with the overly optimistic comment “and hurry-hurry or they will all be gone.” Today, only Princeton University Library holds a copy of this book by a noted art historian and poet (donated by Lew Ney), leaving the actual print run in doubt. Hartmann’s book was followed by 8 Bells by John Cabbage, one of several volumes Lew Ney published for the New York City sanitation inspector who spent his days among the garbage scows on the East River. Cabbage’s fine press editions are surprisingly well represented in academic libraries across the country, including Princeton. The New York Herald Tribune failed to review either book, preferring to comment on Lew Ney himself, always a figure of public interest. “Lew Ney and Ruth Willis Thompson have moved their private press over to Brooklyn and set up housekeeping with a ship’s bell, a spinning wheel, shaker chairs, and skis. . . contributions of cash or provisions are invited, to help feed the hungry literati who come in on Sundays… this is not a joke; actual relief is being given.” (“Turns with a Bookworm,” New York Herald Tribune, March 5, 1933). 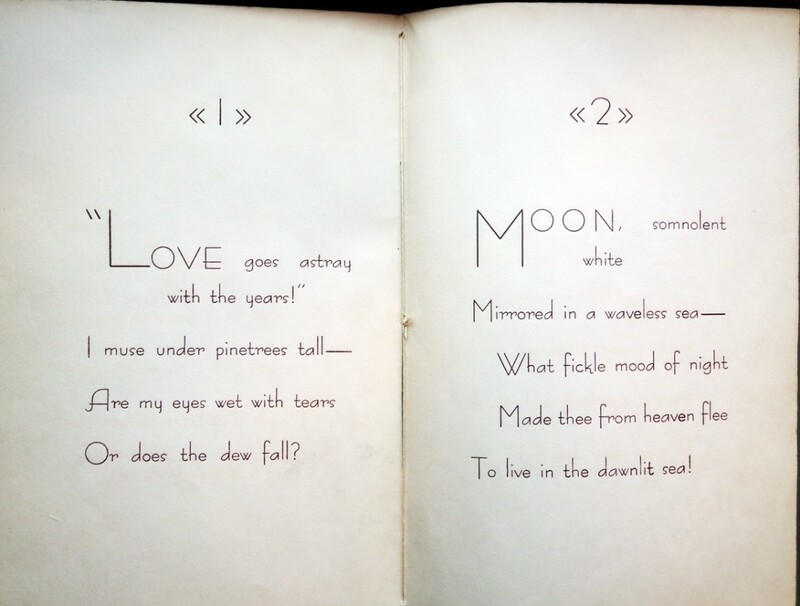 This entry was posted in fine press editions on April 22, 2014 by Julie Mellby.